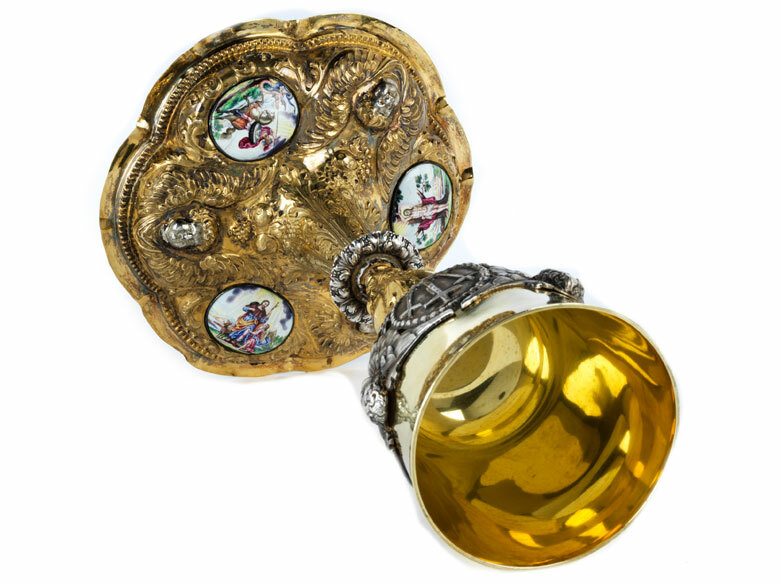 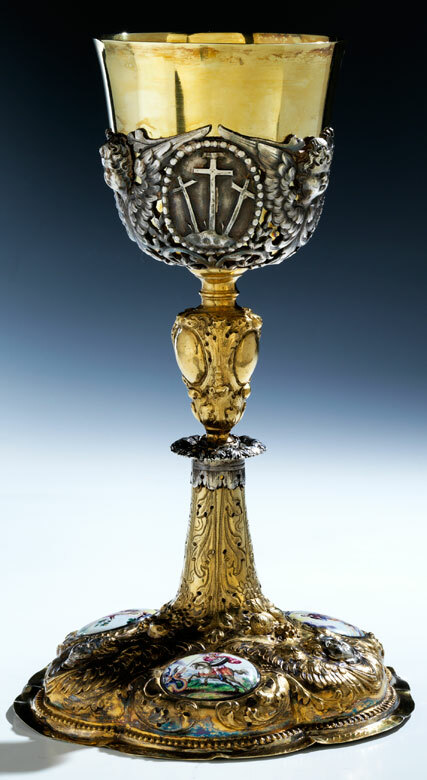 Standring mit Augsburger Beschau (Seling 149). 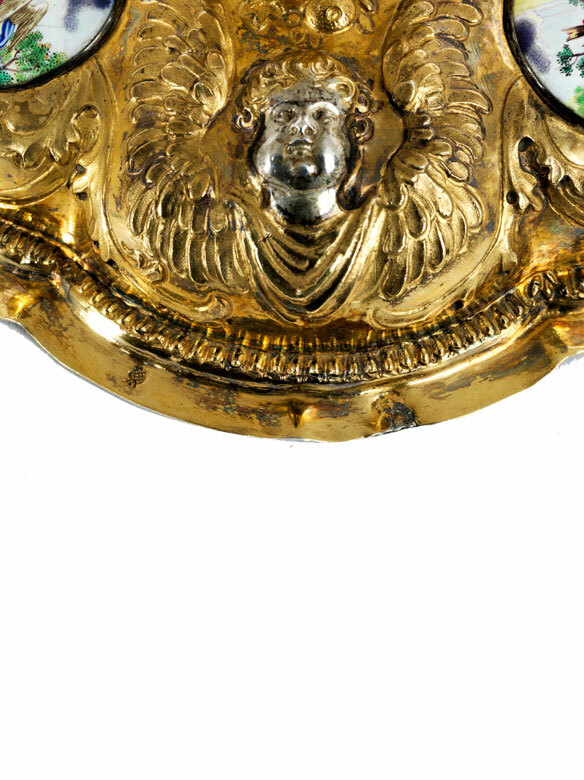 Footrim hallmarked with Augsburg city mark (Seling 149). 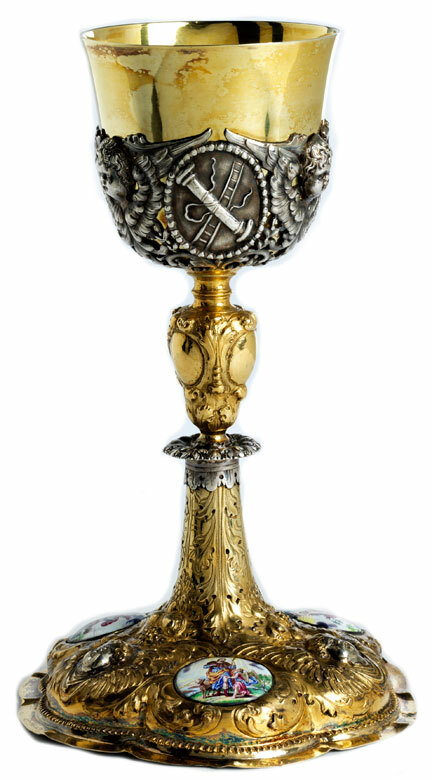 Silver; wrought, cast, chased, with parcel-gilt decoration. 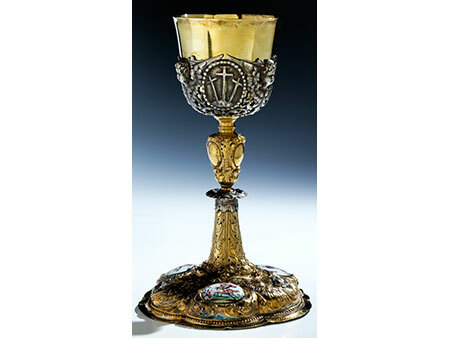 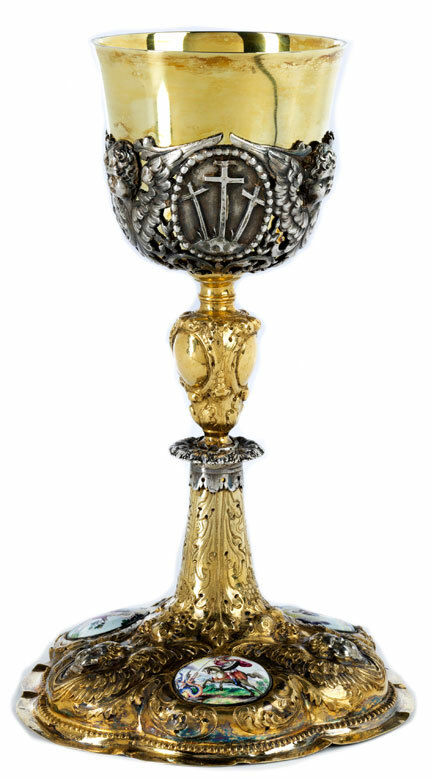 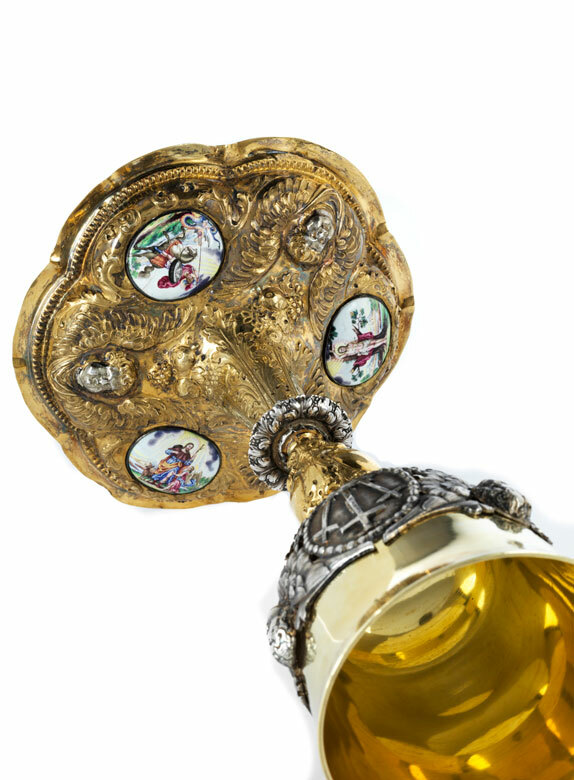 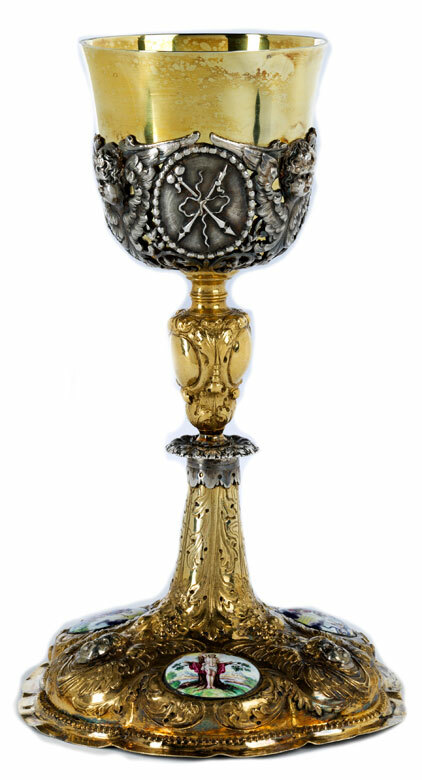 High quality silver chalice on domed foot set with three horizontally oval painted enamel plaques.